One-Armed golfer ‘ups the ante’ with incredible trick shot. 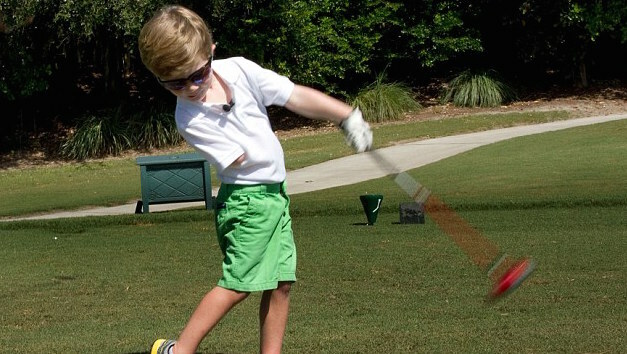 Recently we brought you the incredible story of 4-year-old Tommy Morrissey, a one-armed golfer that just so happens to own an incredible golf swing. Well, it appears just smashing drives from the tee wasn’t enough for this young fellow, so he decided to increase the degree of difficulty by having a go at the ‘Happy Gilmore’ shot. And guess what, he absolutely flushed it! Just to show it wasn’t a fluke he hits this shot.